CARFAX 1-Owner, ONLY 14,743 Miles! PRICED TO MOVE $2,200 below Kelley Blue Book! Moonroof, Navigation, Heated Leather Seats, Back-Up Camera, Premium Sound System, Rear Air, Aluminum Wheels, All Wheel Drive, Power Liftgate CLICK NOW! 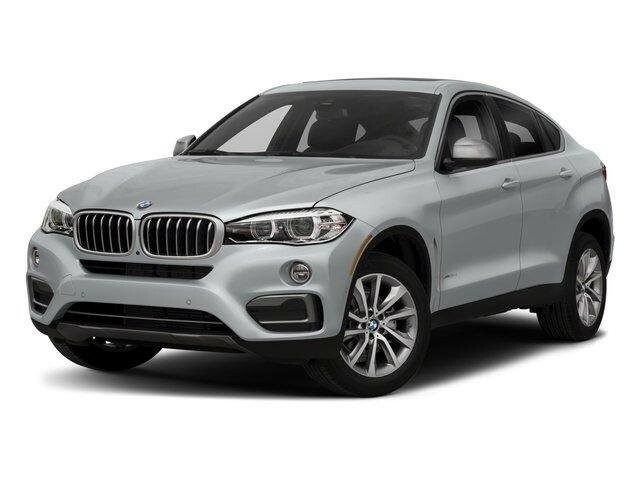 This X6 xDrive 50i is priced $2,200 below Kelley Blue Book. Leather Seats, Navigation, Sunroof, All Wheel Drive, Power Liftgate, Rear Air, Heated Driver Seat, Back-Up Camera, Premium Sound System, Satellite Radio, iPod/MP3 Input, Onboard Communications System, Aluminum Wheels, Keyless Start, Dual Zone A/C. MP3 Player, Remote Trunk Release, Privacy Glass, Keyless Entry, Steering Wheel Controls. BMW xDrive50i with Alpine White exterior and Black interior features a 8 Cylinder Engine with 445 HP at 5500 RPM*. ". the twin-turbo 4.4-liter V8 in the xDrive50i sends the pleasure quotient up a notch, helped by the prompt-shifting 8-speed transmission. Acceleration to 60 mph takes place in a brisk 4.7 seconds." -newCarTestDrive.com. Pricing analysis performed on 1/26/2019. Horsepower calculations based on trim engine configuration. Please confirm the accuracy of the included equipment by calling us prior to purchase.